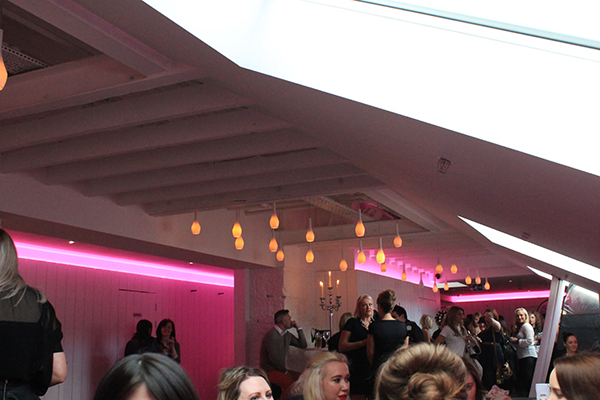 This week we attended the INAA Scottish Hair and Beauty Award finalist announcement blogger event at The Apartment in Glasgows 29 Private Members Club. The awards to celebrate Scottish talent are being hosted by I Need An Appointment, an online hair and beauty portal booking service and sponsored by GHD, Laurens Way and many more exciting brands. There were a ton of Scottish bloggers at the event, where as a year or two ago, there were only a small selection of us so it was a great chance to mingle with old and new faces. You may have even seen the #shaba2013 hashtag floating around on twitter on the evening! At the beginning of the event, there were talks from the owners of INAA, very inspirational ladies and spoke about how a lot of women feel they don't deserve to treat themselves to beauty treatments and a bit of pampering. It definitely made us feel good about what we do and how social media has the ability to change the way we think about things. Sure, getting a nice manicure won’t change the world but it would definitely brighten up your day wouldn't it? When we recently went for a massage treatment we felt amazing, it just shows! Plus, the fact that you can now book beauty appointments online makes it even easier and more of an excuse to treat yourself! 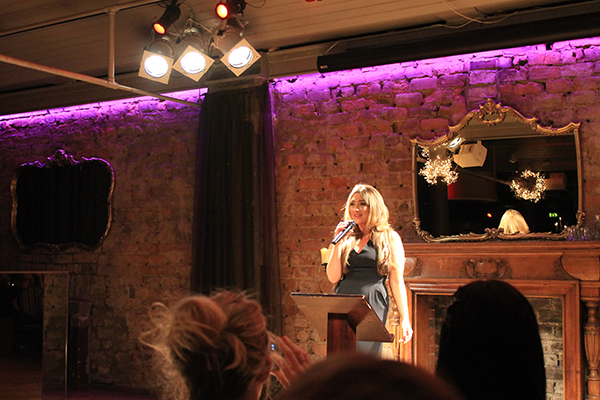 Next was a short and sweet talk from TOWIES Lauren Goodger, introducing her Laurens Way brand with products of a fake tan, glamorous nature, every bit of essex you could imagine. In our opinion, much prettier in real life than on tv. After the talks we were whisked off to The Apartment, a huge room packed with bloggers, wine and demonstrations from Bare Minerals, Bumble & Bumble and live fake tans from Laurens Way. There was even a GHD giveaway but sadly neither of us won, oh well! All in all, we had a lovely time catching up with our favourite bloggers who we hadn’t seen in a long time and it was a very fun event to attend. The Scottish blogger community is constantly growing and it’s great to see more events like this pop up more often. We wish all of the finalists good luck, I’m sure we’ll visit a few in the future! Hi looking for a hair stylist that specialises in vintage hair styles based in Glasgow can anyone help?